What do Logos, Mascots and Symbols Say About Your Camp? No question about it: your camp's logo, mascot, meme, unique selling proposition, or anything else people recognize as a symbol of your camp can give you an incredible marketing edge. They make you look polished, professional and focused. That's good for your camp's image. 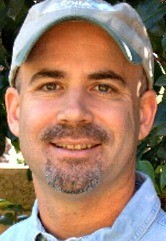 But one thing you must remember is each person views things differently and forms their own impressions. 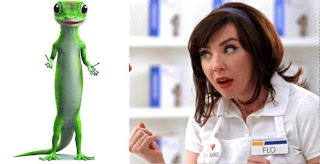 Two of the more prominent mascots you undoubtedly recognize are the Geico lizard and "Flo," the Progressive Insurance saleslady. I don't know about you, but "Flo" and the little lizard irritate the crap outta me. I change the channel whenever they come on, that's how much I can't stand watching them. Many people I know feel the same way. And yet, the ads must be working because Geico and Progressive have used these two little irritants in their ad campaigns for years. I don't know why I love them so much. Certainly a polar bear's more likable than a lizard -- at least that's my opinion. But I'm so attached to Coke's polar bear ads I practically look forward to seeing them every Holiday season. Question for you: Do you put your camp's logo, mascot or symbol on all of your camp's marketing materials? If you don't, you should. This way you'll have a recognizable, unified look. More questions: What do you think about the lizard, Flo and the polar bears? Do you like them? Do they bother you? Do you care?